A ROCKIN’ BENEFIT - REO Speedwagon along with family members and friends perform on Jan. 13 at the Fred Kavli Theater in Thousand Oaks. All Proceeds from the beneift concert go to the Ventura County Community Foundation to help victim’s families of the Borderline Bar & Grill shootings as well those affected by the Woolsey and Hill fires. RIDIN’ THE STORM OUT - Kevin Cronin and REO Speedwagon perform band hits including Roll With The Changes, Keep on Lovin’ You, Take It On The Run, Time For Me To Fly, and Keep Pushin’, among others on Jan. 13 at the Fred Kavli Theater in Thousand Oaks. 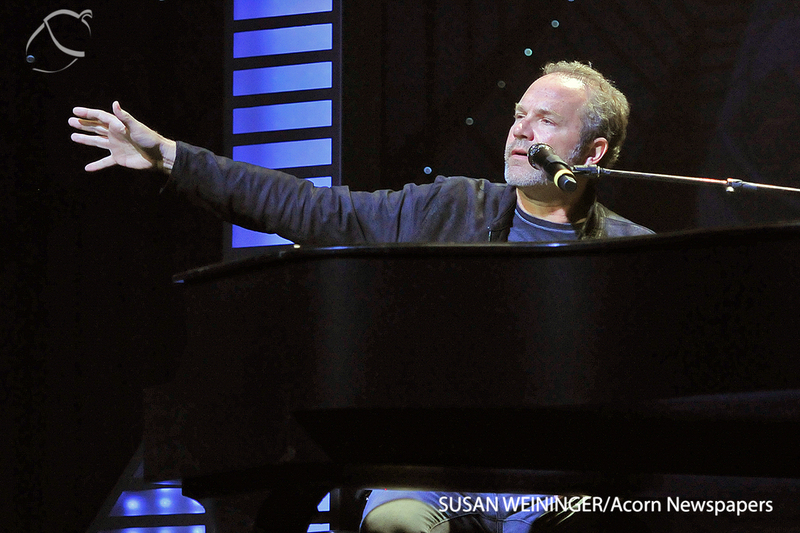 Performers also included Richard Marx, Eddie Money, John Ondrasik, Sir, Please, and the USC Troy Tones. All Proceeds from the concert go to the Ventura County Community Foundation to help victim’s families of the Borderline Bar & Grill shootings as well as those affected by the Woolsey and Hill fires. 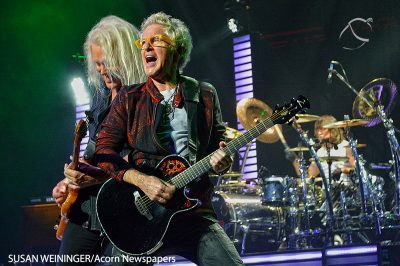 ROLLIN’ WITH THE CHANGES - Kevin Cronin and REO Speedwagon perform band hits including Roll With The Changes, Keep on Lovin’ You, Take It On The Run, Time For Me To Fly, and Keep Pushin’, among others on Jan. 13 at the Fred Kavli Theater in Thousand Oaks. 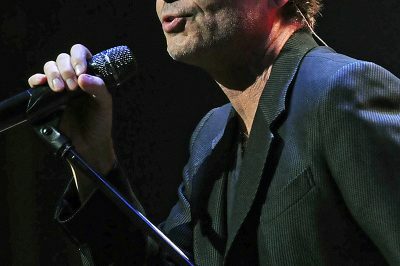 Performers also included Richard Marx, Eddie Money, John Ondrasik, Sir, Please, and the USC Troy Tones. 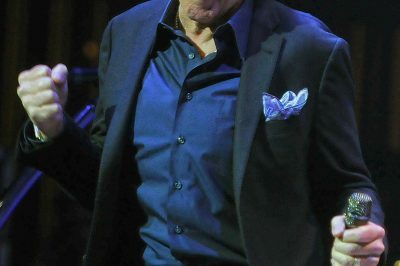 All Proceeds from the concert go to the Ventura County Community Foundation to help victim’s families of the Borderline Bar & Grill shootings as well as those affected by the Woolsey and Hill fires. 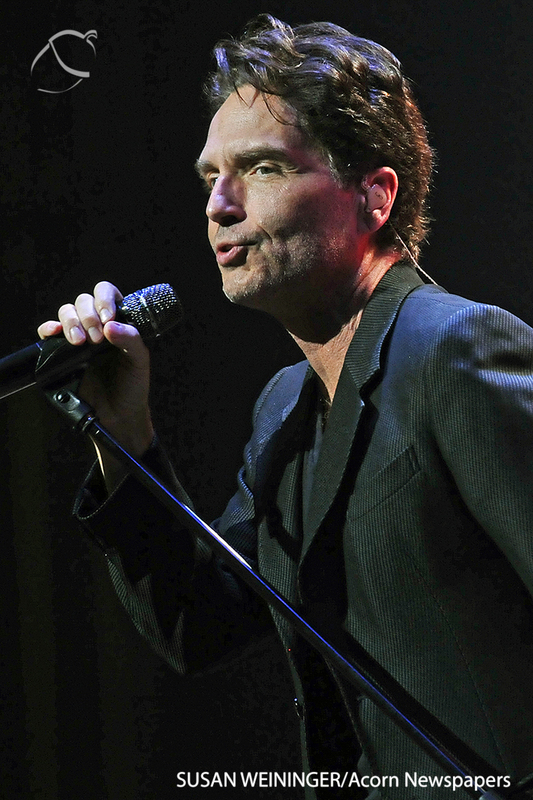 NOT WAITING - Singer/Songwriter Richard Marx performs Right Here Waiting for You and Don’t Mean Nothing on Jan. 13 at the Fred Kavli Theater in Thousand Oaks. 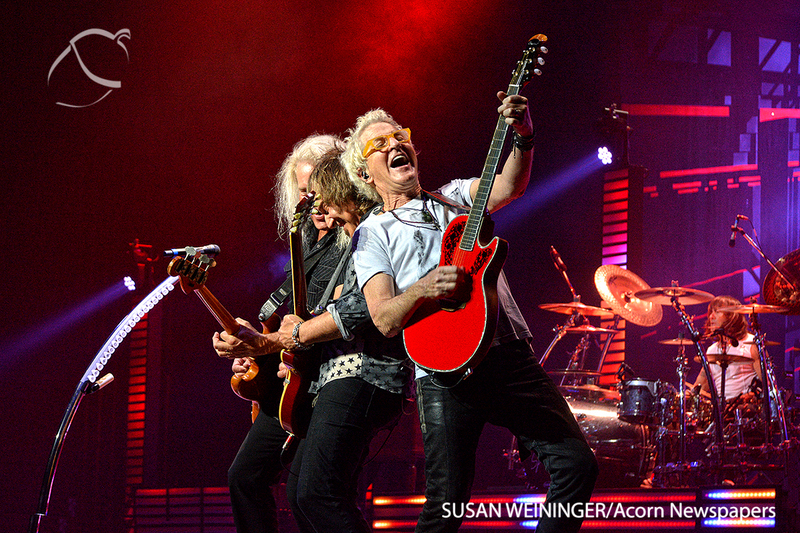 Performers also included REO Speedwagon, Eddie Money, John Ondrasik, Sir, Please, and the USC Troy Tones. All Proceeds from the concert go to the Ventura County Community Foundation to help victim’s families of the Borderline Bar & Grill shootings as well as those affected by the Woolsey and Hill fires. 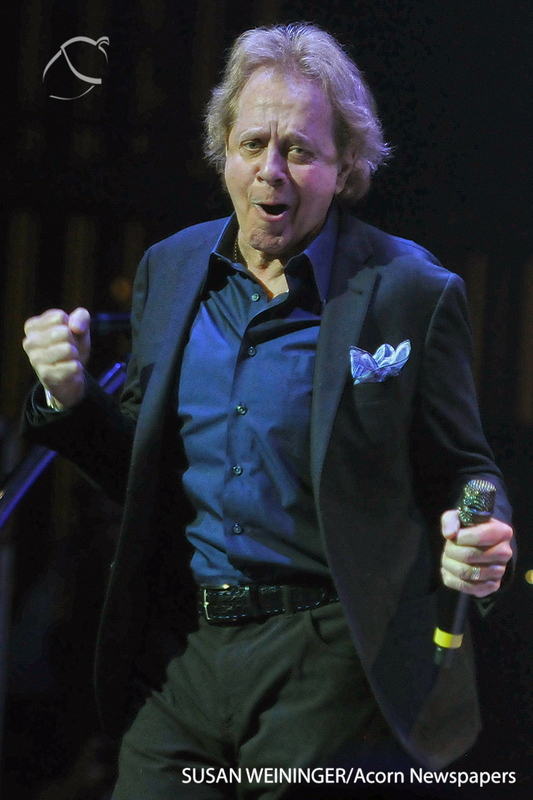 SHAKIN’ IT - Singer/Songwriter - Eddie Money performs Two Tickets To Paradise and Shakin’ It on Jan. 13 at the Fred Kavli Theater in Thousand Oaks. 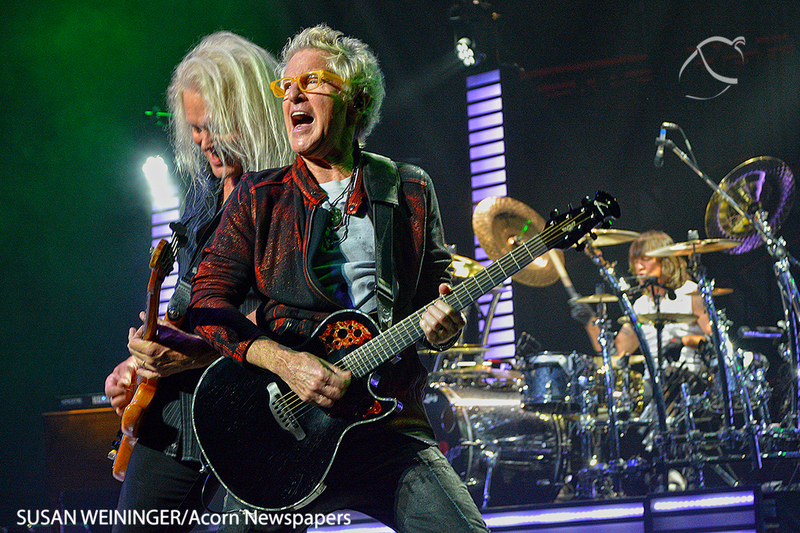 Performers also included REO Speedwagon, Richard Marx, John Ondrasik, Sir, Please, and the USC Troy Tones. All Proceeds from the concert go to the Ventura County Community Foundation to help victim’s families of the Borderline Bar & Grill shootings as well as those affected by the Woolsey and Hill fires. HONORING THOSE IN NEED - Singer/Songwriter John Ondrasik, of Five for Fighting, honored families of Borderline victims and those who lost their homes in recent fires along with stating, “We weep with you,” prior to singing 100 Years on Jan. 13 at the Fred Kavli Theater in Thousand Oaks. 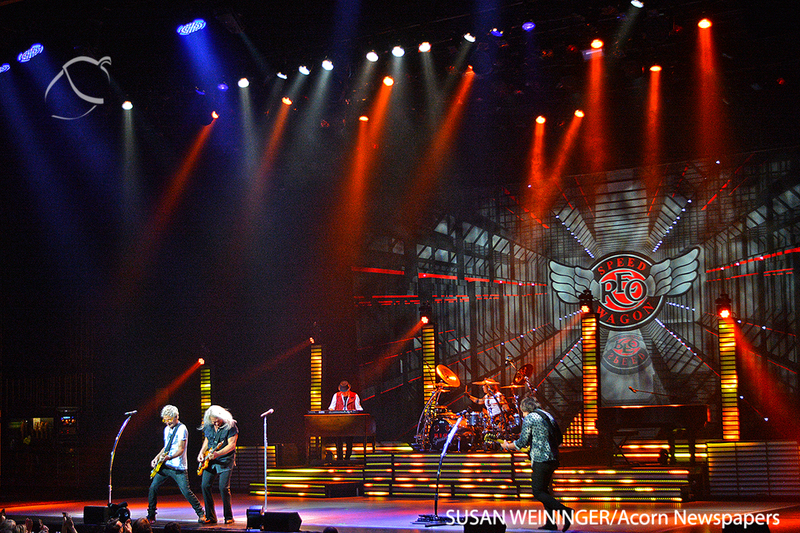 Performers also included REO Speedwagon, Richard Marx, Eddie Money, Sir, Please, and the USC Troy Tones. All Proceeds from the concert go to the Ventura County Community Foundation to help victim’s families of the Borderline Bar & Grill shootings as well as those affected by the Woolsey and Hill fires.